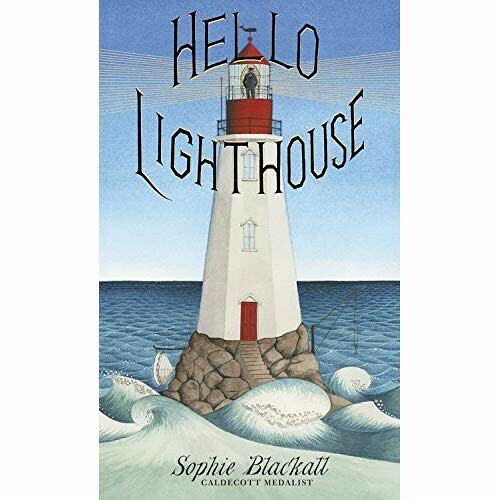 Sophie Blackall’s new picture book Hello Lighthouse is a work of art. It’s a story, too, of life in a lighthouse, but you could very easily just drool over the pictures. There is something very special about lighthouses. I adore them. It’s the architecture, and the fact that they stand so alone, either by the sea or in the sea. They’re romantic, too, but probably more so for those of us who don’t live there. I suppose this is a children’s book… It’s all quite grown-up, beginning with a new lighthouse keeper arriving, seeing him work and how lonely he is. Then he is joined by a wife, who shares in all the hard work. The dangers, the isolation, the heroic saving of people in emergencies, the heroic giving birth to a lighthouse baby. Family life at sea. It’s beautiful. And if it weren’t for all the stairs, I’d live in a lighthouse. This entry was posted in Authors, Books, History, Picture book, Reading, Review and tagged Sophie Blackall. Bookmark the permalink.